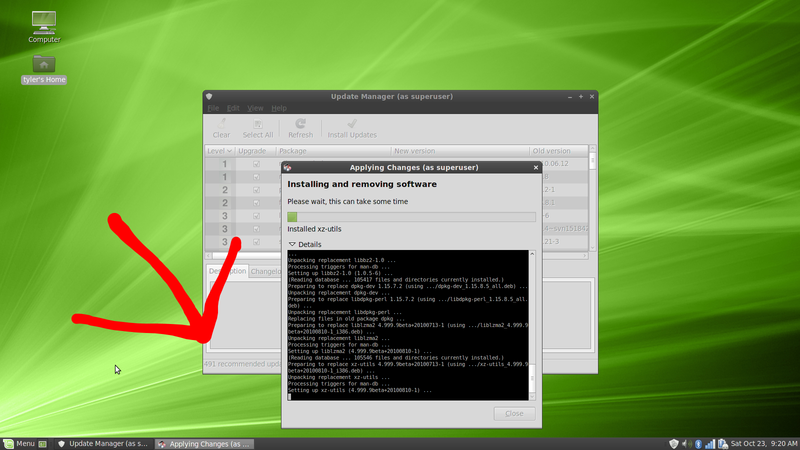 To round out the week I installed the newly released Linux Mint Debian Edition (LMDE). Like the other posts I have made I will walk you through my first impressions as well as the general overall feel of the distribution. LMDE’s install is something quite different from the experiences I had with Ubuntu 10.10 and Kubuntu 10.10. While it is still a very polished installer (complete with a single slide slide-show even!) it does lack a couple of features that make it far less user friendly. Where the other installers basically held your hand in every way, LMDE requires at least some technical understanding in order to complete. For instance there is no friendly auto-partition step, instead LMDE leaves the user to do it manually with GParted. While hardly the end of the world it is enough of a challenge that you could no longer just hand this disc to your non-technical friend and let them have at it. However once that step is complete the installer is very straight forward and rips through the installation in a matter of minutes. I have to say that my first impression of LMDE was a mixed one. On one hand it spewed text everywhere as it booted, which I assume came from its Debian heritage. On the other hand the boot was ridiculously fast. I know it’s been one of Canonical’s goals to make Ubuntu the fastest booting Linux distribution but I have to say that a stock install of LMDE (and maybe even Debian Testing) will easily give that claim a run for its money. 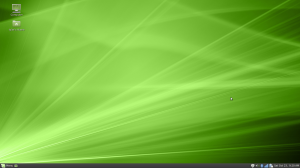 Once at my desktop I was presented with a very familiar Linux Mint set up. 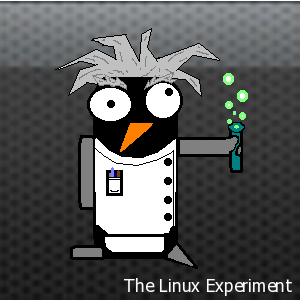 If you were to place this desktop next to Linux Mint’s Ubuntu derivative (Linux Mint 9 for instance) I would be very hard pressed to spot any differences. 5) From there just follow the instructions on my post here in order to generate the new X configuration file and maybe even fix your vsync issues at the same time. I have read that jockey is currently being ported and will appear in the LMDE repositories so hopefully this small issue will be solved quickly. That’s right, almost 500 updates… Almost every package on my newly installed machine had to be replaced updated. This is definitely a release for people looking for the newest software but could easily lead to update fatigue for everyone else. One of the unfortunate things about this release is that it only comes in a 32-bit version. As I run a 64-bit processor with 4GB of RAM it irks me to know that I am not using the full potential of my system. I starting looking into Physical Address Extension (PAE) kernels as a solution to this problem. PAE kernels, for those who don’t know, use a system of memory indirection in order to allow a 32-bit processor access to more than 4GB of mappable memory. In the case of Linux the PAE kernel can map up to 64GB of RAM. After a bit of googling I stumbled upon instructions to install a PAE kernel by simply installing the linux-image-686-bigmem meta-package. Unfortunately this quick fix, as most often is the case, didn’t exactly turn out well and actually broke my GDM system. Without GDM I was unable to log into my desktop and this experiment came to an end. In the interest of time I decided to just reinstall instead of trying to troubleshoot how to fix what I had inadvertently broken. The software selection in LMDE is impressive and in many ways is what Ubuntu’s used to be. Here you will find (pre-installed) Flash, the Java and Mono runtimes, an MP3 codec and even the Gimp. Everything, like the other Linux Mint releases, is designed to make it so that the user does not have to search for solutions to missing functionality. Because this is a rolling release it doesn’t really make sense for me to review the included software as much as it does to just mention it. For web browsing LMDE, like Ubuntu, ships with Firefox. To send and receive e-mail it calls upon Firefox’s cousin Thunderbird. Instant messaging is handled by Pidgin and your music collection is controlled by Rhythmbox. F-Spot remains as the photo manager, unlike Ubuntu which replaced it with Shotwell, while Gwibber and Totem round out the release. Currently Linux Mint Debian Edition is somewhat of an enthusiast’s release. It has the potential to be a great rolling release but it’s pretty obvious that right now it needs some work to get there. For instance, why when I updated my software, did my GDM background change to a Debian one? The team over at Linux Mint knows how to polish a distribution and so I’m confident that they will do the same for Debian Edition. I knew someone was going to point this out and I even debated whether or not to write some justification in my original post. What I was trying to get across is that I, being someone who has worked with Linux for a while now, know why it changed, but the average user (who is click happy) would not. The other thing that was not clear to me, even though I generally know what I’m doing, is whether or not denying it from replacing my existing configuration would 1) break the system or 2) make me lose out on some new feature or functionality. Your GDM broke because you installed a new kernel without reinstall the fglrx modules into the new kernel. The easy way is to install the PAE kernel, then fglrx. After the fact it is a bit tricky, but if you have the driver from AMD in a folder you can generate debs and install from the command line then restart. Another approach is to uninstall fglrx from the command line and revert to the open source driver to get you up and running, then reinstall the ATI driver. Of course this means you need another computer so you can use Google to find the instructions. I have been using PAE kernels for some time and they have been rock solid for me. Lastly, if you are not a gamer then there is little reason to use fglrx. The open source driver will give you video acceleration and desktop effects and you can play with kernels to your heart’s content without breaking you X setup. To revert to the open driver you must uninstall fglrx and remove /etc/X11/xorg.conf Removal of fglrx is necessary to remove incompatible symlinks. I got bit by the same problem, but I’m not familiar enough with the configuration files that I would have known what the problem was to prevent it before hand. I performed all of the suggested ‘fixes’ and still had problems. I ended up replacing gdm with xdm, then re-installing gdm to get the ‘Minty-goodness’ back. I came up with something that worked, but I can’t explain why that worked and the other ‘fixes’ didn’t work. I find that when using the open source drivers my graphics card runs full steam and lacks pretty much any power management. As I am running this on a laptop, power management is of the utmost concern. Sorry, I did not make myself clear enough. My explanation was for the situation where the new kernel was installed and the machine booted to a command prompt without X. The appearance of the GDM theme is a different issue. Perhaps that should have read “if you are not a gamer or notebook user”. My desktop works fairly well with the open source driver, but I generally do have the ATI driver installed in preference. I have just added the 10.10 driver and so far it is the best fglrx yet (for me and my hardware).